At the moment many of our members do not own a computer, have access to one or even know how to use a computer. We are now in a fast moving technological world where communicating with one another is vastly different from even 15 years ago. Therefore if we hope to be recognised we must take Pope Francis’s words to heart. As computer literate, newly retired men and women, seek what to do with more time on their hands, they will certainly be turning to their computers to help them find the answer. As a New Movement of the Church we have to be visible and one of the best ways of putting across our message is using technology. 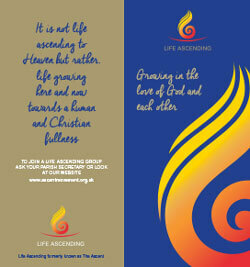 With a new image and title we pray Life Ascending will take the movement forward and reach more and more parishes. 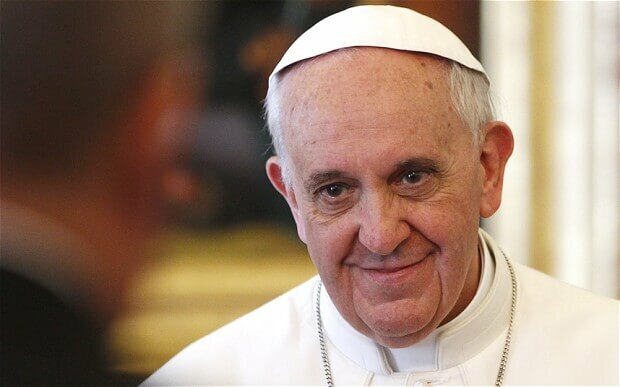 We can all help in this mission by telling our families and friends about this change and encouraging them to take this good news to their own parishes. If you are unhappy or have a problem with anything on the new site or feel something could enhance it, do let me know by one of the following ways.